Kim Jaejoong will be releasing a duet with Gummy. According to C-JeS Entertainment, Kim Jaejoong will be performing a duet with Gummy for ‘WWW: Removing One’s Makeup’, his repackage album that will be released on the 20th. Kim Jaejoong and Gummy’s duet ‘Heaven’ is a melodious pop ballad that will be the title track of the repackage album. 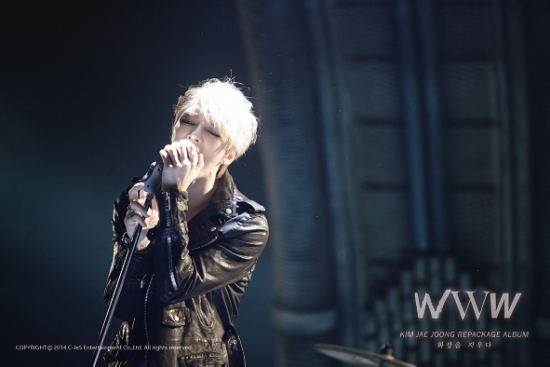 Kim Jaejoong wrote the lyrics with the movie ‘The Eraser In My Head’ as his motif, and his voice has come together with Gummy’s to create a beautiful harmony. The upcoming album feature two new songs, ‘Heaven’ and ‘Makeup’, which is a remake of a Japanese song. Kim Jaejoong has rewritten the lyrics for ‘Kesho (Makeup)’, a song by the famous Japanese singer-songwriter Nakajima Miyuki, and his reinterpretation will only feature a piano and strings to create a simple but powerful song. The repackage album will also contain behind-the-scenes footage of the music video for ‘Just Another Girl’, the title track of Kim Jaejoong’s first full-length album, as well as the music video itself. Kim Jaejoong held the second leg of his nationwide tour at the Gwangju Yeomju Indoor Gymnasium and is set to release his repackage album on the 20th.